Julie is the Global Chief Customer and Commercial Leadership Officer and Senior Vice President of The Coca-Cola Company. In this role she works closely with and supports the Company's global customer partners while building commercial strategies and customer capabilities across the global system. 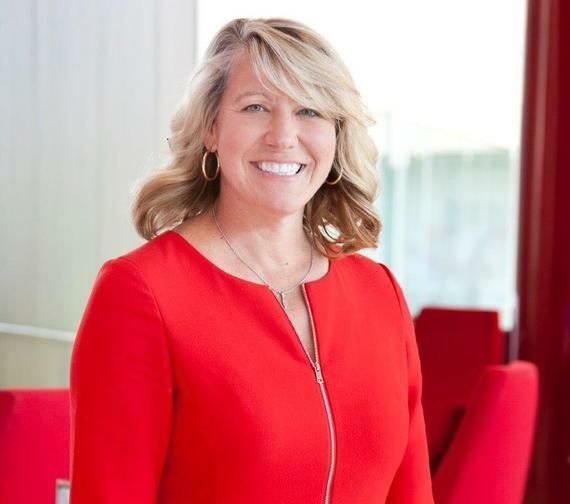 Julie brings a deep appreciation and understanding of the Company's global customers and the strategies that must be executed in the market every day to ensure that the Company's customers, bottling partners and the Company itself all thrive and grow. Julie joined The Coca-Cola Company in 1996 and has held a variety of sales, marketing and operational positions including Group Vice President North America Walmart Team, Vice President Global Customer Development, Group Director for Global On-Premise Customers, Director of Marketing in the North America Retail Division, Group Manager for the Worldwide Marketing Partnership with Blockbuster and Brand Development Manager of Still Beverages. Julie grew up in Genoa, Italy, Seattle and St. Louis. She attended high school in LeMans, France, studied at Vanderbilt University and London's Imperial College of Science & Economics and graduated from the University of Missouri with a Bachelor's degree in Journalism. Currently, Julie serves on the boards of the Coca-Cola Scholars Foundation, Network of Executive Women in Retail and Enactus. As a champion of women in business, she served as President of the Coca-Cola Women's Forum from 2005- 2007 and continues to mentors fellow associates and youth in the community. I also had the privilege of living in Italy as a child, attending high school in France and doing some college coursework in London. And I've lived all over the U.S. - from the Pacific Northwest to the Midwest to the Southeast. This diversity of life and cultural experience really helped me at such a global and diverse company as Coca-Cola. I've had the great fortune of working on so many interesting aspects of our business - from helping manage key customer relationships to working on the Walmart account team to running the Chairman's office. While they've all been extraordinary experiences, there was nothing like the day-to-day challenges and exhilarations of working side by side with Muhtar Kent, our Chairman and CEO. He is, without question, a brilliant and tireless force of nature. I learned more from Muhtar in that role as his executive assistant than I have in my entire career. First, take the initiative to learn all you can. Study the industry. Learn who the leaders are and where the opportunities lie for each of the major companies. Once you've done your own diligence, reach out and make contact through your own personal network or through broader industry networks. Be willing to do any job to get your foot in the door and never stop learning about the business. In October I'm speaking at an event in London, run by the Consumer Goods Forum (CGF). The event, the Future Leaders Programme, has been established over 60 years and has top talent drawn from across the industry - a real opportunity for rubbing shoulders and networking with both retailers and manufacturers in our industry. Relationships make the world go 'round. Work on that skill. Refine it. Never lose it. And never, ever take it for granted. Similarly, don't forget to give back. Helping those who wish to follow your footsteps is hugely important. The CGF Future Leaders Programme gives me the opportunity to do just that, we share ideas together and I have the opportunity to help develop and mentor the next generation of leaders in this exciting industry, in fact I am able to learn from them too! I am very deliberate in this regard. I know that personal renewal - and taking time for myself - is not only good for my physical and mental well- being but it's also critical to my job performance. It's made a huge difference. It teaches you the art of being selfless and of giving back and creating a legacy. These are all important attributes for leadership and mentorship is a critical part of leadership development. There are just so many. Ones that immediately come to mind are Margaret Thatcher and her courageous resolve and commitment to her ideals, Condi Rice for her determination and ability to make any subject her own speciality, and Denise Morrison, President and Chief Executive Officer of Campbell Soup Company - she's a truly great leader. And then of course there were all the women leaders at Coca-Cola who came before me and opened so many doors and led the way.